You've personalized your wedding decor, you've personalized your venue and your bridal style, too. 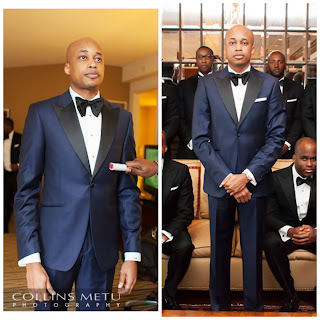 Now it's time to personalize your groom! 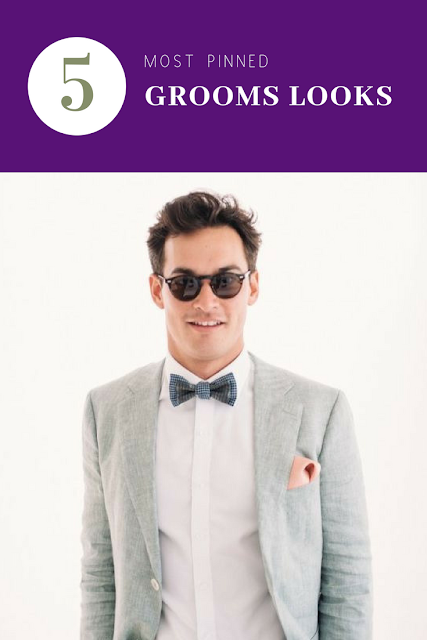 For the stylish grooms who are looking for unique ways to add some fun to their wedding day, we've got prints, polka dots, solids, geometric, novelty styles, just to name a few There is no stopping what you can do! From bow ties, neckties, suspenders - we pulled a few looks we love from the most pinned groom styles on Pinterest. Let us know which look is your favorite in the comments below! 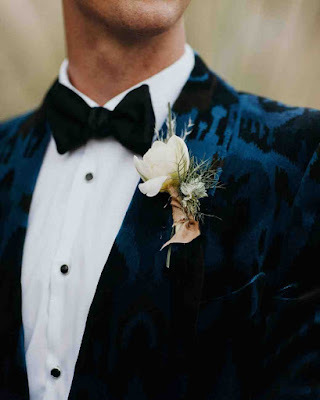 You're already going on Pinterest for all of your wedding inspo, you might as well find the best grooms looks there, too! We've picked the top 5 most pinned grooms looks on Pinterest to inspire your groom's style. Get ready to scroll and save! A colored suit goes a long way! We love the way this dark maroon suit pops for the groom. It's a great way to spice it up - especially for fall! Tall, dark and handsome! 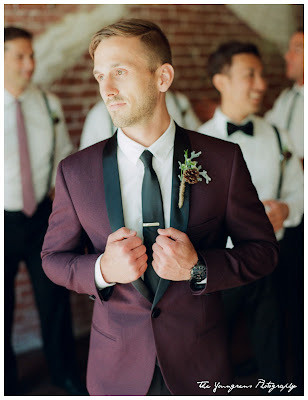 We love when the groom wears a different color than the groomsmen. It really makes them stand out and shine. 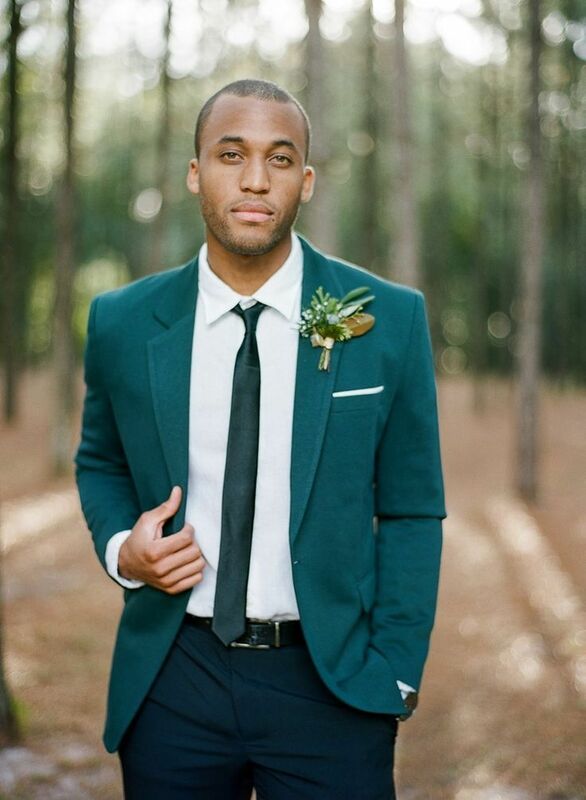 What's not to love about a colored suit with a skinny tie?! The combination is enough to make any bride swoon. We're obsessing over the newest trend of velvet suit jackets. The look (and feel!) has us totally head over heels. Dress up your tux with these fab bow ties. Who says you have to follow the norm when it comes to matching your bow tie to your tux?! Wearing a suit instead? Well, one of these ties will complete your look. Whether your suit is a Slim fit, Skinny fit, Tailored fit, there's a tie perfect for that look. Hands down suspenders are the most popular formal accessory of the year. 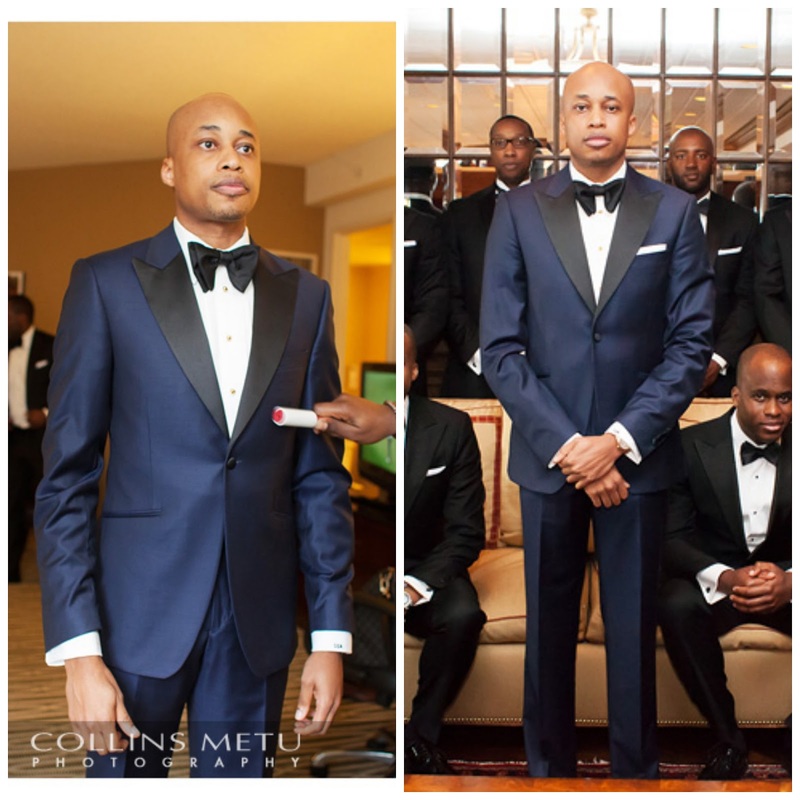 They are trendy, versatile and look good with anything - suits or tuxedo. 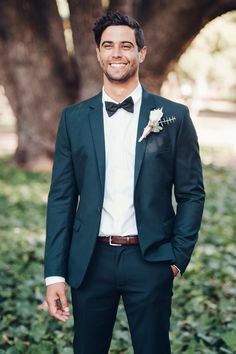 So, if you are not brave enough to do a non-traditional bow tie, keep the traditional black bow tie and just add a suspender for a little style, you won't regret it! For more idea, visit The Tie Bar or find more inspiration below! Need more inspiration, follow us on Instagram and Pinterest. Or, call us for a FREE 30-minute consul!